Former President John Dramani Mahama says the hardship that has befallen Ghanaians under the Akufo-Addo government is enough evidence to bring the National Democratic Congress (NDC) back into power. According to the NDC flagbearer, the New Patriotic Party government has disappointed Ghanaians with all the hardships currently going on in the country. “We are all aware of the hardship we are going through in the reign of the NPP. But maybe some of you might not be going through it but majority of Ghanaians are going through it and Ghanaians have seen the leadership style of the NPP compared to that of the NDC and they can make their own judgment,” John Mahama added. Addressing some party supporters at Kasoa in the Awutu Senya East Municipality as part of his thank you tour of the Central Region, the NDC flagbearer indicated that God gave the NPP power for Ghanaians to have a feel of the NPP’s leadership style compared to that of the NDC. “God wanted Ghanaians to have a feel of how the NPP leadership will look like compared to that of the NDC so that they can make their own judgment,”John Mahama added. 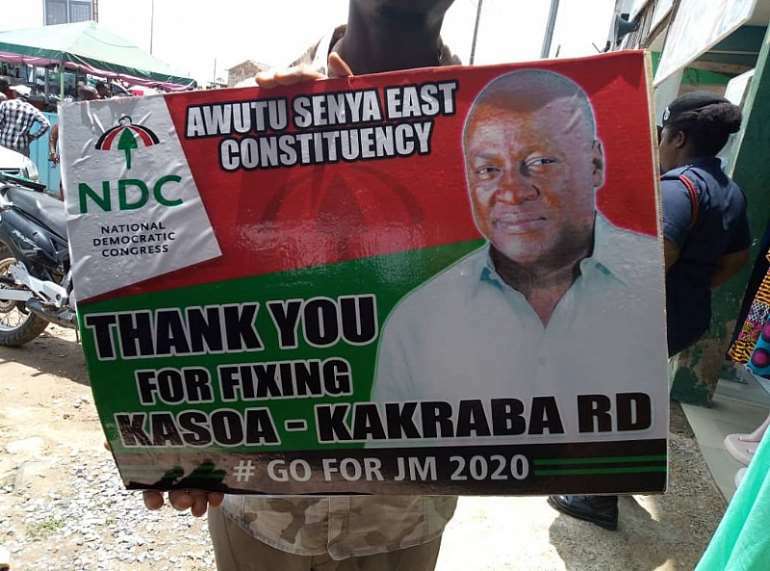 He explained further that during his four year tenure as President of Ghana, Kasoa benefited from projects such as Poly Clinic, an interchange, two modern schools, a bus terminal among others but the NPP under President Akuffo Addo have failed Ghanaians adding that they have not done a single project to benefit people of Awutu Senya East. The Former President was optimistic that come 2020 the National Democratic Congress will win power from the New Patriotic Party. 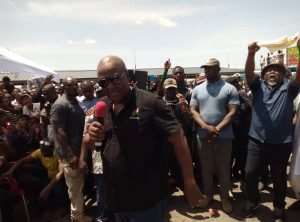 Former President John Mahama had earlier urged the government not to sell off the Komenda Sugar factory. “It is unacceptable to sell the factory. We can get the expertise and the technology to make this factory work,” he said to the media during his thank you tour of the Central Region. Trade and Industry Minister, Alan Kyerematen last week Parliament said a new strategic investor will be announced by the end of April to acquire the assets of the Komenda Sugar factory. The Minority in Parliament subsequently accused government of deliberately causing the factory to be undervalued so it can be sold off cheaply. Mr. Mahama urged the government to pursue the $23 million loan from the Indian Exim Bank for phase two of the project, which he said is still available. “The loan from the Indian Exim bank is still available and so all the government needed to do was to take the money and implement the second phase of the project and once they had done that, this factory would be running,” he added.